Outer space themes are usually pretty popular and that is the theme that the software developers used for Monkeys to Mars. 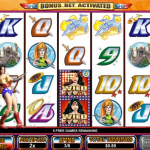 This is a great example of an online video slots game although there are some drawbacks. There are a pair of monkey astronauts, a male and a female, and they are on a journey to Mars. Galaxies make up the backdrop so the game is colorful and visually appealing. Naturally, as one might expect, the reel symbols are also space related. The space theme even extends to the payline buttons which are made to look like space rockets. In the Monkeys to Mars video slots game, the Wild symbol is a launch button and the Scatter symbol is an alien. The regular symbols include the two monkeys, a laser gun, a map, and some crystals, among others. Players immediately notice that this game has some great graphics and the theme allows for color and detail. 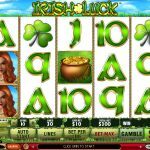 The sounds and soundtrack is somewhat limited in this particular online slots game, however. In fact, there isn’t even any background music during spins. Nevertheless, there is audio during the animations and it is quite pleasant and satisfactory for the game. Furthermore, the symbols are all animated as well but this only happens when they are in a winning combo. The game’s Wild symbol is rather nice and the game proceeds at a good pace with no time wasting. 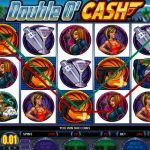 Unfortunately, there are no payouts for Scatter symbols and the game does not offer a progressive jackpot, either. Be that as it may, Monkeys to Mars is still a fun, attractive game that is sure to bring lots of entertainment to a fairly wide audience. Upon hitting the launch button, a space rockets is launched and it rockets its way across the reels leaving in its wake, a trail of smoke. When that happens, every symbol on the screen becomes the Wild symbol. 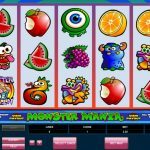 In Monkeys to Mars video slots game there is not a big variation in coin denominations, however, but there are 25 paylines which means that winning potential is increased somewhat. 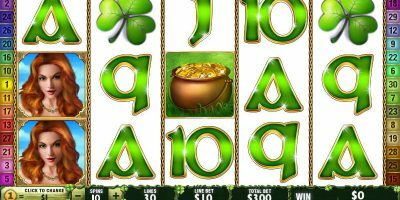 Players wager one coin per payline that they wish to enable. There is a maximum bet button that players can make use of if they so choose, which means that they do not have to waste time selecting their betting parameters between spins. While the minimum wager that a player can bet is 0.01, the max is 500 credits. The Wild symbol only shows up on the second to the last reels. 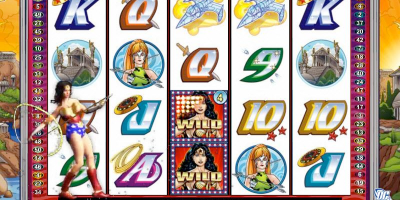 Unlike some other online casino slot games, the Wild symbol and the Scatter symbol in Monkeys to Mars do not offer any payouts. The Asteroid Bonus round is automatically launched whenever the Scatter symbol shows up on the second, third and fourth reels. The Bonus round is rather nice and allows players to pick five weapons that they then need to fire in order to receive credits. 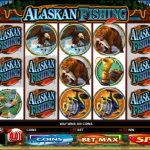 A re-spin feature is available in this casino slots game that is not in other video slots games. It is randomly available at any time during the course of the game. The symbol only appears on the second, third and fourth reels. Players just need to look for the flashing light bulbs above the appropriate reels to see if they have received their Bonus re-spin. As can be seen, Monkeys to Mars video slots game has some unique and distinctive features. It can also be customized in various ways to suit the player’s individual preferences. 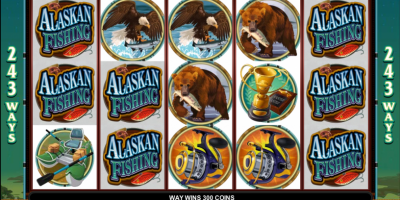 What is more, players have the option to speed up the game as well, even to the point where the spinning of the reels is totally eliminated and only the symbols will change. Players also have the option to customize the sounds and soundtrack, or they can simply disable sounds altogether. Despite the lack of a progressive jackpot and non-paying Wild and Scatter symbols, Monkey to Mars is still a fun game to play and certainly one worth checking out.